This is a textbook for a one quarter introductory course in theoretical computer science. It includes topics from propositional and predicate logic, proof techniques, set theory and the theory of computation, along with practical applications to CS. Using examples from the publishing industry, Whitington introduces the fascinating discipline of Computer Science to the uninitiated. Chapters: Putting Marks on Paper; Letter Forms; Storing Words; Looking and Finding; Typing it In; Saving Space; etc. A draft of text book for Computer Science I, covering CS1 topics in a generic manner using psuedocode with supplemental parts for specific languages. Computer Science is not programming. Programming is a necessary skill, but it is only the beginning. This book will familiarize you with the Scratch visual programming environment, focusing on using Scratch to learn computer science. Each concept is introduced in order to solve a specific task such as animating dancing images or building a game. The objective of this book is to provide the reader with all the necessary elements to get him or her started in the modern field of informatics and to allow him or her to become aware of the relationship between key areas of computer science. Our objective is to provide an introduction to computer science as an intellectually vibrant field rather than focusing exclusively on computer programming. We emphasize concepts and problem-solving over syntax and programming language features. The book covers material on logic, sets, and functions that would often be taught in a course in discrete mathematics. The second part covers automata, formal languages, and grammar that would ordinarily be encountered in an upper level course. This book provides a survey of basic mathematical objects, notation, and techniques useful in later computer science courses. It gives a brief introduction to some key topics: algorithm analysis and complexity, automata theory, and computability. This book gives an introduction to Soft Computing, which aims to exploit tolerance for imprecision, uncertainty, approximate reasoning, and partial truth in order to achieve close resemblance with human like decision making. Computer Science from the Bottom Up: a free, online book designed to teach computer science from the bottom end up. Topics covered include binary and binary logic, operating systems internals, toolchain fundamentals and system library fundamentals. This book may assist researchers on studying the innovative functions of modern information systems in various areas like health, telematics, knowledge management, etc. It can also assist young students in capturing the new research tendencies. A compilation of research works on topics such as concept theory, positive relational algebra and k-relations, structured, visual and ontological models of knowledge representation, and detailed descriptions of applications to various domains. Starting from a collection of simple computer experiments -- illustrated in the book by striking computer graphics -- Wolfram shows how their unexpected results force a whole new way of looking at the operation of our universe. These lecture notes present an introduction to theoretical computer science including studies of abstract machines, the language hierarchy from regular languages to recursively enumerable languages, noncomputability and complexity theory. Knowledge Representation is concerned with encoding knowledge on computers to enable systems to reason automatically. The Handbook of Knowledge Representation is an up-to-date review of twenty-five key topics in knowledge representation. This text is an introduction to the formal study of computation. The course will provide students with a broad perspective of computer science and will acquaint them with various formal systems on which modern computer science is based. This text is a broad introduction to the field, presented from a computer science viewpoint for computer scientists. This was designed to be used in a one-semester course for senior computer science majors or first year masters students. An electronic book for teaching Computational Science and Engineering. The intended audience are students in science and engineering at the advanced undergraduate level and higher. Tutorials for networking and visualization software are included. This series is for people who are interested in computer programming because it's fun. The three volumes use the Logo as the vehicle for an exploration of computer science from the perspective of symbolic computation and artificial intelligence. This book is designed for a first course in computer science that uses C++ as the programming language. The goal was to leverage the best features of the language using sound practices of programming and pedagogy in the study of computer science. Aho and Ullman have created a C version of their groundbreaking text. This book combines the theoretical foundations of computing with essential discrete mathematics. It follows the same organizations, with all examples and exercises in C.
A computational scientist needs knowledge of several aspects of numerical analysis and discrete mathematics. This text covers: computer architecture, parallel computers, machine arithmetic, numerical linear algebra, applications. The Fourth Paradigm, the collection of essays expands on the vision of pioneering computer scientist Jim Gray for a new, fourth paradigm of discovery based on data-intensive science and offers insights into how it can be fully realized. This book is intended for a second course in computer science, one emphasizing principles wherever it seems possible. 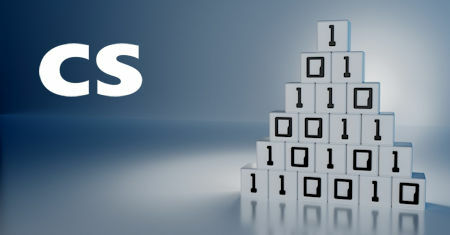 It is not limited to programming, it attempts to use various programming models to explicate principles of computational systems. This book contains one actual, full-length GRE Computer Science Test and test-taking strategies. The test consists of about 70 multiple-choice questions, some of which are grouped in sets and based on diagrams, graphs, and program fragments. The book covers concepts in computing that are most relevant to the beginning student, including computer terminology, the Internet and World Wide Web, the history of computing, the organization and manufacture of computer technology, etc. Covered topics: concurrency, state, distributed programming, constraint programming, formal semantics, declarative concurrency, message-passing concurrency, forms of data abstraction, building GUIs, transparency approach to distributed programming. The text for a first course in computer science using the programming language Java. It covers the fundamentals of programming and of computer science. It is assumed that you have the Java version 5.0 or later and a text editor such as Notepad. This book teaches you to think like a computer scientist - to combine the best features of mathematics, natural science, and engineering, to use formal languages to denote ideas, to observe the behavior of complex systems, form hypotheses, etc. The book Concrete Abstractions covers the programming and data structures basics. It will give first-time computer science students the opportunity to not only write programs, but to prove theorems and analyze algorithms as well. In this book the authors present an overview of the work they have done on the foundations and details of data analysis, the first attempt to do this in a non-invasive way. It is a look at data analysis from many different angles.